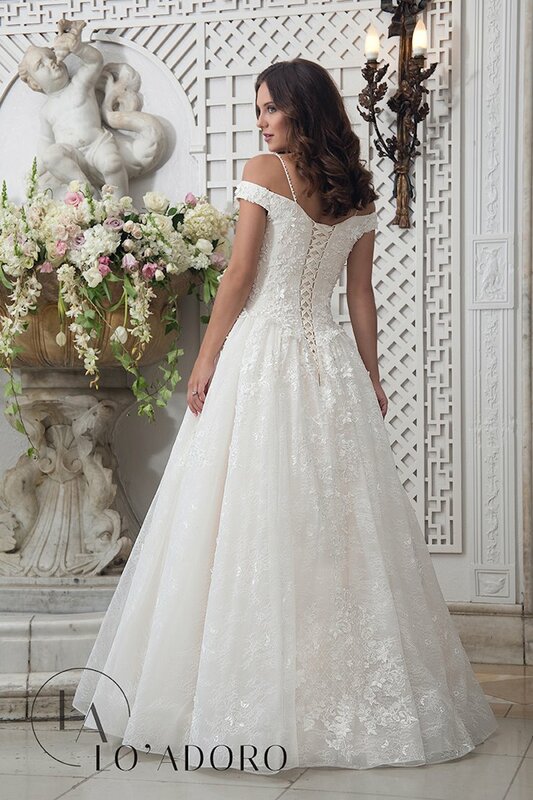 Due to the seasonality and delicate nature of Lo'Adoro bridal gowns, not every gown pictured is available in-store. For the most up to date inventory, please contact one of our professional bridal stylists. From the Rachel Allan design house comes Lo'Adoro, a collection that exudes femininity and beauty. Lo'Adoro wedding gowns are adorned intricate beading, luxurious lace, and eye-catching detail that will capture the attention of all of your guests. Shop Henri's Minerva to browse Lo'Adoro bridal gowns by Rachel Allan! Henri's holds the highest account status with Lo'Adoro and all Rachel Allan collections.